Way back in the early 1990s, my writing partner, Chris Huntley, and I published a book on narrative structure entitled, Dramatica: A New Theory of Story. When I wrote that paragraph, I thought it was pretty self explanatory. But over the years I’ve been surprised by how many people, though they agree with the the way that sounds, don’t actually understand the real difference between those two facets of a story. Why is it important to differentiate the two? Because structure can only be solidly built if you see it for what it really is – the framework that holds up the story. Part of the problem is that people lump all aspects of a story other than the words they use to tell it into a single glop they think of as the structure. This means they see a character’s name, its job, age, gender and so on as structure. They see the setting, time frame and genre as structure. They see all the events that happen and all the moralizing as part of the structure. Yet none of these are structural elements at all. They are, in fact, part of the storytelling. In this article, I’d like to spend a little time illustrating the nature of and differences between story structure and storytelling, and provide some techniques for using this new clear view of both to enhance the soundness of your story and your creative experience as as a writer. What we’re going to do is break a completed story into four parts, rather than just structure and storytelling. 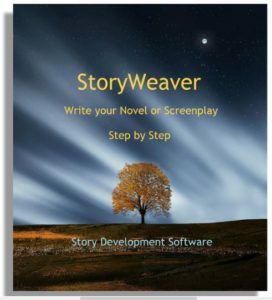 Those other two parts will provide some parallax – a baseline you want mentally walk along to get a better angle on separating story structure and storytelling. To do this, we’ll use an analogy. Think of a story as a body. There’s the skeleton, the soft tissue, the clothes and lastly the haircut, jewelry, make-up, facial hair, cologne and so on – four different parts of what we see as a complete person. The skeleton is the structure, the soft tissue is the subject matter, the clothes are the exposition and the finishing touches are the storytelling. Structure (a story’s skeleton) is the fixed framework that defines the basic shape and function of the thing. For example one story might have a goal of Obtaining a particular item. Another story might have a goal of Becoming a different kind of person. Obtaining a thing is completely different from Becoming a new person, so those two structures would be completely different. But a story about Obtaining stolen times or Obtaining someone’s love are structurally the same, because they are both about possession. Now on to the soft tissue of story, the subject matter. Using the above example, in the Obtaining story the goal might be to obtain a treasure, a diploma, someone’s respect or the answer to a riddle. Clearly each of these stories would feel completely different, even though they are all Obtaining stories because the subject matter is different, just as a person of one weight, musculature and fitness is going to seem completely different than someone who varies in those areas, even through they have the exact same skeletal structure. So, they are structurally the same, but differ in what’s attached to that structure – the subject matter. In another example of how different stories can strike a reader or audience as being different, even though the structure is the same, a goal of “Becoming” might be becoming more honest, becoming more self-sufficient, becoming more passionate or becoming more considerate. And so, each of these would seem like a different story, even though, structurally, they are all about Becoming something one currently is not. In short, a single structure can manifest itself in many different ways. So now that we have a pretty good grip on a very fundamental understanding of the first two parts of a story, the structure and the subject matter, let us consider the clothing, which is the equivalent of Exposition in a story – what of that structure and subject matter is immediately visible, and what is held back. In stories, as in clothing, exposition is the way the thing is revealed. How much do you show up front? How long does it take to see more? What are you shown, and in what order? And when do you get to see it all? Authors do well to remember that while they know their entire story from beginning to end and everything in between, their audience or readers don’t. So the job of exposition is two-fold. One, to make sure you find a place in the unfolding of your story to convey everything you want the audience/readers to know. Two, to consider how best to unveil the details of your story like a striptease artist, enticing your audience/readers to build in them the greatest possible interest. That is the essence of the third of our four perspectives. Finally, we come to our fourth and final angle on our story – the storytelling style – the fancy dancy primps and preens that give the whole package pizazz, just as a person has a certain kind of haircut or hairstyle, adopts a rhythm to the way they walk and move, and develops their own voice – the way the turn a phrase. 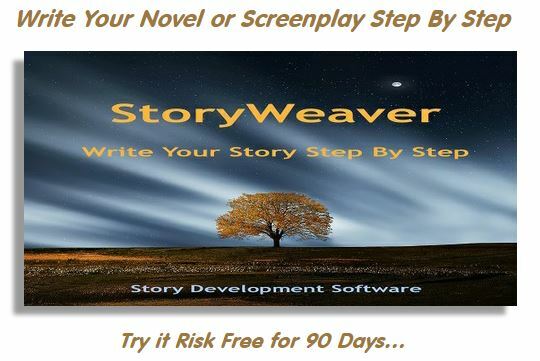 In terms of stories, consider that though you may have completed the first three stages in developing your story (built a structure, developed the subject matter, and worked out the exposition and reveals, you haven’t actually written a word! So this last stage, storytelling style, is (surprisingly enough) where you actually tell your story! The structure determines what it is, the subject matter determines what it means, the exposition determines how it shows itself, and storytelling determines how it feels. In other words, in four steps you’ve moved clear across from a fully logistic approach to the elements of structure to a purely passionate experience in the art of storytelling. Now earlier I promised to describe why all this is useful to a writer, because a lot of insights into story, while intriguing, don’t necessarily immediately suggest how you might apply them to your advantage in story development. In terms of practical application, we shouldn’t think about the four stages when we are creating – to do so would move us into an analytical frame of mind and smother our Muse. But once we have run short of inspiration for a bit, then we would do well to look at our story more objectively – to examine it logically to make sure we haven’t missed a beat, gone off track, failed to communicate or lost the passion. A completed section of your story may mask problems in one of the four aspects by something really cool in another aspect. This creates a hidden problem in one area behind the flash in another. Alas, in the end, while it might “wow,” it won’t sustain. Conversely, a story might be so balanced among all four perspectives that it becomes bland to the point of being impossible to swallow, yet seems quite complete to an author. So by separating the four stages, you can see where your storytelling might not have enough oomph and needs to jiggle its booty a bit more to entice. By putting structural considerations out of your mind while you creatively write, it frees your Muse to pursue any creative path that appeals to her. Then, by putting creativity out of your mind while you analyze, you can see clearly where the problems are and how to go about fixing them. In the end, if you are aware of elements of structure and practice the art of storytelling, you’ll write with maximum productivity and have a more pleasant creative experience as well.